Happy Monday everyone! Quite a bit going on for the second last day of March! Late last week British Airways Executive Club suffered an attack by some hackers. There are reports of some BAEC member's accounts having 0 Avios when they had thousands of Avios in their account prior to the hack. Be sure to check your accounts ASAP to see if you can login or if your account was one of those affected. Many accounts are also appearing as frozen for the time being as a safety concern. I checked my account and was fortunate to see that neither my Avios gone or my account frozen. I did however change my password right away and we recommend that you do the same if you can access your account. Keep an eye on this and make sure you contact BAEC if you have one of the accounts which lost Avios. On Friday we were interviewed by CBC for an Aeroplan & AIR MILES award flight story they are working on. They were contacted by some Aeroplan members who are frustrated with the lack of availability and the fuel surcharges being charge on Aeroplan tickets. We've covered this topic in the past in our Redemption Stories series and now have extended a small discussion on our Instagram feed. Why not join in if you are on Instagram or comment below with your thoughts. 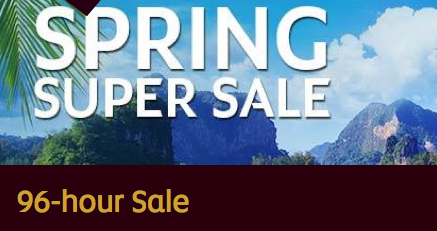 Etihad Airways is offering up to 30% off their flights out of Toronto during their 96 hour Super Spring Sale. You can also earn up to Triple Bonus Miles on these flights depending on the class you fly in! Find out more here. KLM has had to push back the launch of their Edmonton service due to some labour issues but in return we are seeing really low fares on their flights for when they do launch to appease YEGers! 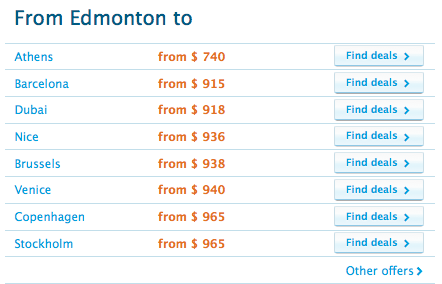 You can fly from Edmonton to Athens for only $740 all in! Book by March 31 for travel until May 6 or from October 16 - December 10th. Find out more here.